The Chevy Camaro ZL1 1LE Responds to GT500's Dual-Clutch: What About a 10-Speed Slushbox? Part of what made the Chevy Camaro ZL1 1LE’s blistering Nürburgring lap so impressive was that it was set with a manual car—because the ZL1 1LE was only offered with a six-speed manual up until that point. Now, there’s an automatic transmission option coming. 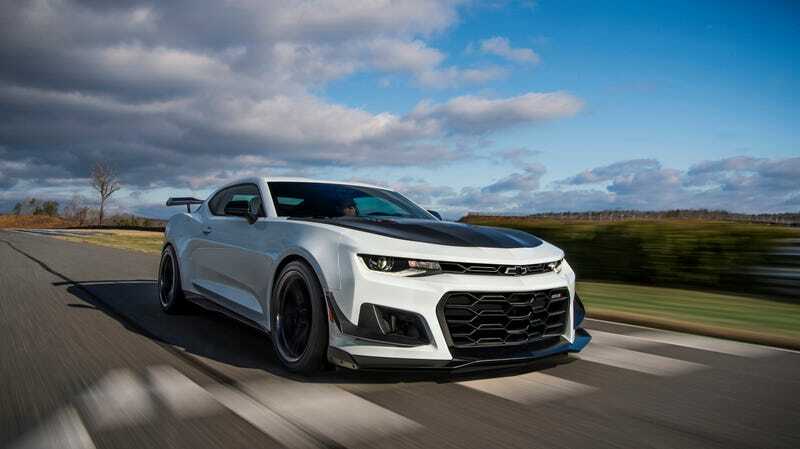 Beginning at the end of February, buyers will be able to check the box for a 10-speed auto option to be fitted to their Camaro ZL1 1LE at an additional price of $1,595. Armed with this transmission, according to Chevy, the car set a lap that is “more than one half second faster than the standard manual” on the 2.9-mil Milford Road Course. We’ll have to see about that, though. I haven’t yet experienced a 10-speed automatic that I’ve liked very much. And what exactly do you get on this Camaro with the alphabet-soup name? As a refresher, the ZL1 1LE features extra aero bits, adjustable suspension, forged aluminum wheels and a 650-horsepower V8 engine. It’s more than enough to cause some ruckus. And now you don’t even need to operate a clutch pedal to do it.